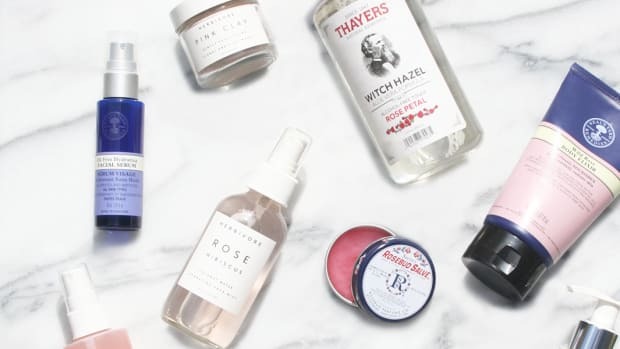 We’ve all seen the micellar water commercials on TV by now—a woman serenely wiping off heavy makeup with a mere swipe of her micellar water–soaked cotton pad. “Yeah, right,” I snorted from my couch in skepticism. 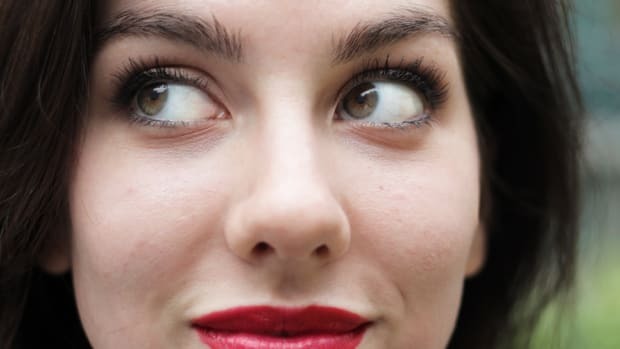 “Nothing’s going to take this cat eye off in one swipe.” I have used Dawn dish soap—the soap that’s literally used to clean greasy ducks from oil spills—to take off makeup in the past. A magical all-in-one non-rinsing liquid that completely removes any dirt, oil, or makeup product? Color me not convinced. But intrigue got the best of me, and I picked up a bottle to answer my burning micellar water questions. 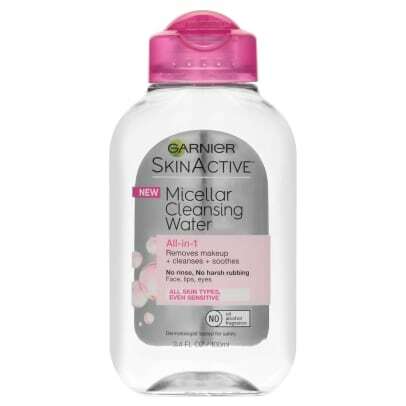 I initially thought micellar water was some concoction of the future—mad scientists somewhere celebrating the invention of non-water water. But it turns out that micellar water has been around for hundreds of years and originally gained popularity in France in 1913. So, what is in this time-tested formula? Basically, micelles are tiny oil molecules that are suspended in soft water. 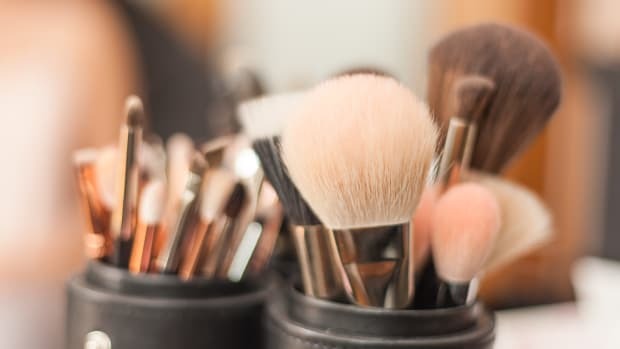 The micelles act as emulsifiers that dissolve normally insoluble compounds that can’t be washed away with plain water (aka dirt, oil, wax, makeup). The micelles only absorb those insoluble compounds, acting like a magnet to all the impurities on your face without stripping your skin of its natural properties like harsh foamy solutions do. No rinsing necessary! When I soaked the cotton ball with Garnier Micellar Cleansing Water (for waterproof makeup), I was expecting an oily substance to grease up my hands and face. 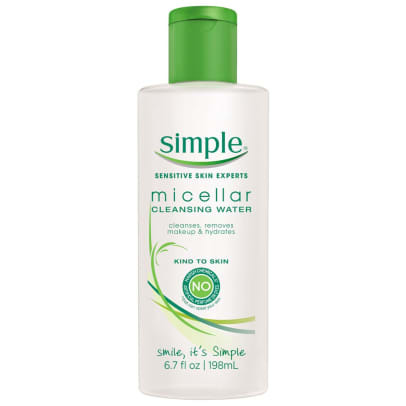 I was shocked to find that micellar water feels just like actual water. After one swipe, about 90 percent of my eyeliner, mascara, and eye shadow was gone. Whhhaaaaat. I continued to use the cotton ball aggressively around my eyes. There was no stinging or burning. and I successfully removed all of my eye makeup without smearing it all over my face. With a fresh cotton ball, I started using it on the rest of my face. Reviews that compare micellar wash to a magnet really aren’t kidding because the cotton ball came back not white. Let’s just say I got a real sense as to how dirty my face actually gets throughout the day. 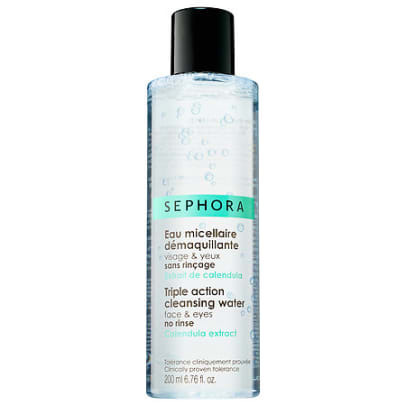 Micellar wash has also been touted as a moisturizer. You know how tight your skin sometimes feels after using face wash? 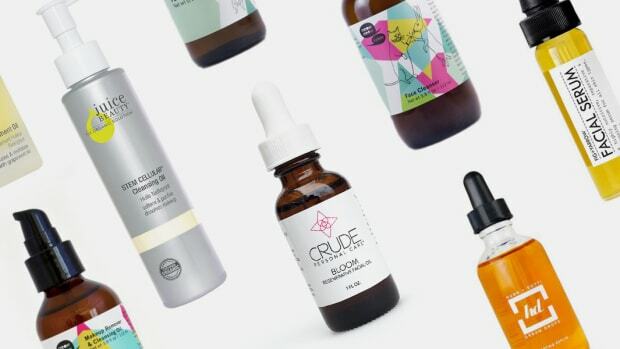 We often mistake this dried-out feeling for being 100 percent cleansed, but that’s actually a result of our face wash stripping off the good, along with the bad, oils on our skin. 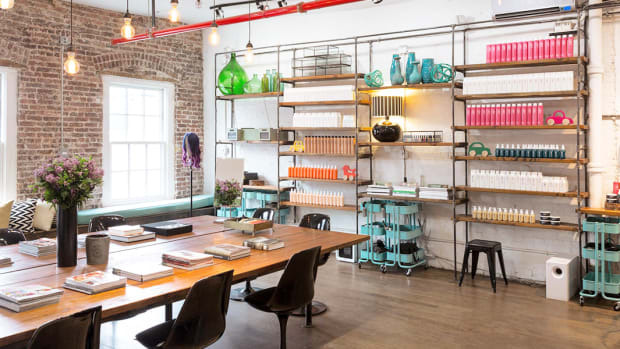 We then have to use moisturizers and serums to replace what we lost after cleansing. When I first used micellar water, I thought to myself, “I’ll use my regular face wash later for a real clean and then apply my moisturizer. 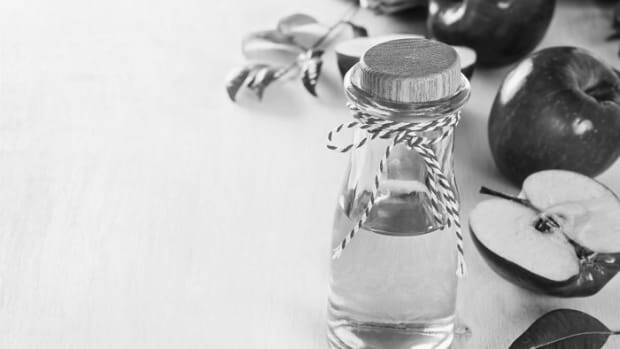 . . .” I was convinced that I would feel some gross residue after using the micellar water, but my face felt super-fresh, naturally moisturized, and balanced. I ended up forgoing the extra cleansing and just put on my nighttime retinol and called it a night. So apparently micellar water really works. (Using dish soap as a makeup remover? Never again.) But I’ll admit that I’m not 100 percent convinced to switch after my years of using standard face wash. I’m still very much attached to the satisfaction of using a foamy wash, and I love the feel of exfoliating with a washcloth. I would, however, especially suggest micellar water to busy mothers who struggle to maintain their beauty regimen or any woman prone to abandoning nighttime cleansing routines when tired. 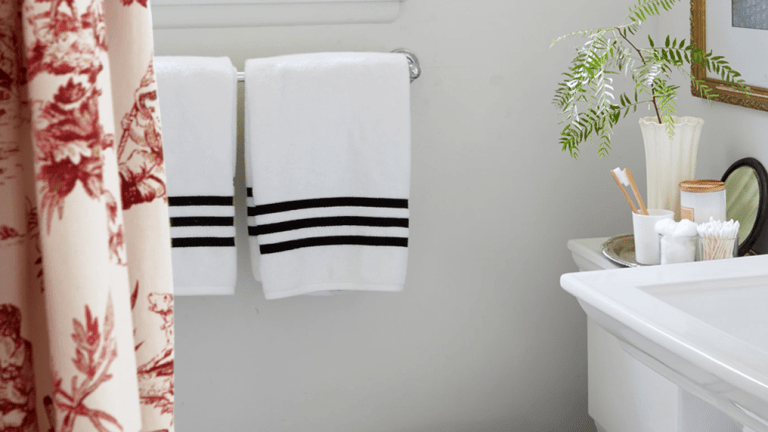 It’s the perfect solution (literally) for those who don’t like to bother with a big nighttime routine. That said, I’m excited to make this reliable magical water my tried-and-true go-to when removing heavy-duty makeup—and maybe in the future, I’ll use it as my daily cleanser.